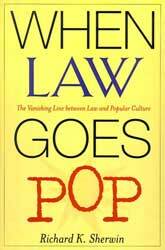 In his new book, When Law Goes Pop: The Vanishing Line between Law and Popular Culture (The University of Chicago Press 2000), Richard K. Sherwin considers the consequences when legal culture and popular culture dissolve into each other. The following excerpt explores the nineteenth-century trial of the Reverend Henry Ward Beecher, and its attack on cultural assumptions about the inner self. The excerpt was adapted especially for Writ. Throughout our history, some trials have been transformed into symbols; freighted with intense public interest and emotion, they serve as a barometer of cultural anxiety and change. A compelling example of this phenomenon is the 1875 adultery trial of Tilton v. Beecher, which pitted claims of factual truth against overwhelming urgencies of belief. The main players in this courtroom drama were the Reverend Henry Ward Beecher, America's leading moral and spiritual teacher (and brother of Harriet Beecher Stowe), his best friend Theodore Tilton and Tilton's wife, Elizabeth. Tilton accused Beecher of carrying on an affair with Tilton's wife. But the significance of the trial went far beyond the simple issue of whether Beecher had indeed been physically as well as emotionally intimate with Elizabeth. More profound questions were at issue. Would Henry Ward Beecher, the most respected and idealized religious figure of the day, prove to be yet one more con man in a nation of incipient hucksters and deal makers? Had he, too, betrayed others' trust, captivating admirers by deceit, harboring, against all outward appearances, a secret core of moral decay? "Yes," Tilton's lawyers loudly proclaimed. In summation, they urged the jurors not to be taken in by Beecher's reputation and bearing. In contrast, the defense could have come straight from Groucho Marx: "Who are you going to believe, me or your own eyes?" Beecher's defenders were betting on the fragility of facts before the urgency of belief. Would the jury let this icon of faith fall, and with him faith, trust and civility itself? Or would they credit Beecher's outward display of moral virtue and thus sustain our most cherished values? Like O.J. Simpson's dream team, the defense asked, Will you rush to judgment? Or do you have the courage to send a message? Will you, by your verdict of acquittal, put an end to corruption, when you have before you a man of such fine reputation? What deep current of cultural anxiety gave the Beecher trial its remarkable intensity? One answer is that the sentimental belief in unitary character (as without, so within) was slowly eroding. This change came as part of the nation's post-bellum shift from an agrarian to an urban-industrial society. City life offered new freedoms and unprecedented individual privacy, while straining received mores and creating a new sense of alienation. With the unraveling of traditional networks for maintaining reputations (such as local venues for gossip), trust among strangers was never more sorely needed -- or more sorely tried. Who can one trust? How does one read the signs of personal integrity and virtue? It was this anxiety that the Beecher case brought to the fore, with a terrifying question: could someone so virtuous on the exterior hide such perfidy within? As early as 1857, Herman Melville had explored this theme in his poorly received final novel, The Confidence Man, a book permeated by ambiguity and moral skepticism. In Melville's dark, proto-modernist vision, the more we inquire, the stranger, the more remote, the more inaccessible things become -- the human heart (or soul) being the strangest, most unfathomable thing of all. the reality of self-estrangement had become a commonplace of popular belief and experience. As Robert Louis Stevenson would put it a decade after the Beecher affair, in every mild-mannered Dr. Jekyll lurks a fearsome Mr. Hyde. But at the time of the Beecher trial, the idea of self-estrangement was still threatening and strange to the public and the jury. "You must dig beneath the surface of appearances with tools of reason," Tilton's lawyers urged the jury. "You must induce the truth from the clues presented, and follow them wherever they may lead." In so arguing, Tilton's counsel cast jurors and the public at large as skeptical, uncertainty-plagued detectives on a search for truth they were to follow no matter where it led them -- even into the most private inner sanctum of human personality. The attack is not that there are wolves in sheep's clothing, that vicious men dissemble and that they hide themselves under the cloak of sanctity to prowl on the society that they thus impose upon . . . It is that the favored, approved, tried, best results of this social scheme of ours, which includes marriage, and of this religious faith of ours, which adopts Christianity, is false to the core; that the saintly man and the apostolic woman are delivered over to the lower intelligences; and that being proved, the scheme itself is discredited and ready to be dissolved. . . .
Why, all the while it may be going on in all our families, and nobody knows anything about it. What, shall we then discard all this, shall we believe . . . that there is no necessary connection between character and conduct; that these sins do not come from within, but that with all this purity they may arise? By the time defense counsel was done, it was the jurors' values, loved ones and principles of judgment that were being tested. A vote for acquittal thus became a vote for virtue writ large -- and a way to avoid the modernist anguish of uncertainty, isolation and distrust. The hung jury in the Beecher case (nine voted to acquit, three to condemn) illustrated the era's unwillingness, whether by conscious refusal or unwitting inability, to face the problematic realm of inward realities. Thus, in the end, a conventional popular sentimental fantasy won the day. Victorian morality denied the harsher moral uncertainties of the modernist mindset. Beecher's defenders fought the unacceptable truth that even a man of such high social standing and accomplishment as the Reverend Henry Ward Beecher cannot really be trusted. With the Tilton-Beecher affair the nation winked at the anxiety of disbelief, but one eye remained open. It is as if the American people had felt the future, shivered, and promptly tightened their grip on a fantasy that was about to pass. Richard K. Sherwin, former New York County prosecutor and currently a Professor of Law at New York Law School, has written widely on the relationship between law and popular culture, including articles about film and television. He also writes on criminal law and has served as a commentator on a number of criminal trials.